There are few things in nature that capture a child’s imagination as much as a conversation with a parrot. As a child growing up in Britain, I have memories of visiting zoos or pet shops and being mesmerised by members of the parrot family that had become expert talkers. My mother and grandmother would squawk with laughter as a parrot introduced himself as “pretty Polly”. It is no wonder that in adulthood I found myself drawn to experiencing these birds in their natural habitat. If, like me, you were raised in the Northern Hemisphere, there is a good chance that you have not seen many parrots in the wild. 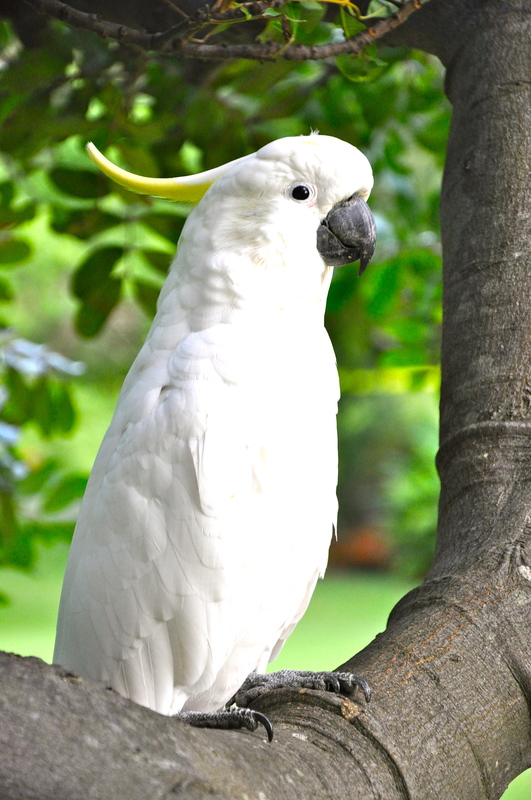 There are 21 species of cockatoo all of which live in Australia, Indonesia or the islands in the Oceania region. 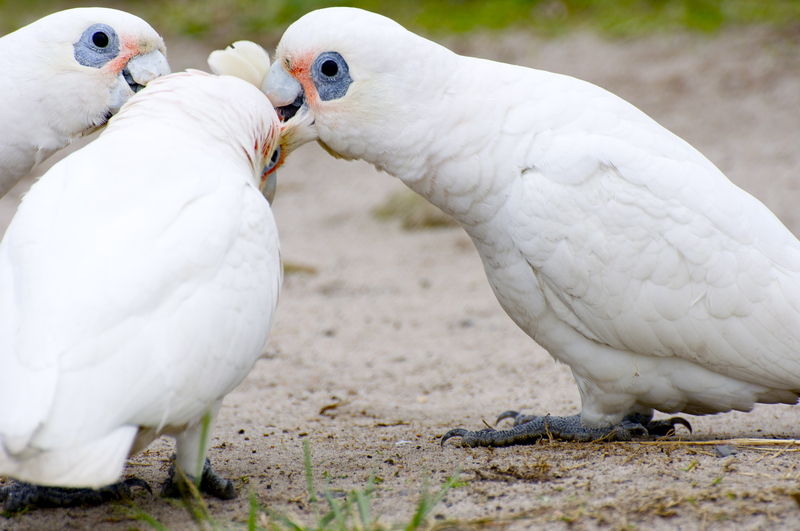 The species can be divided into 3 groups; white cockatoos, “dark” cockatoos, and “other” species in the cockatoo family. My first sighting of a wild cockatoo was a distant and fleeting glimpse of the critically endangered, Yellow-crested cockatoo gliding over the forest canopy on Komodo Island. I was thrilled to have seen a wild cockatoo and such a rare variety. These Indonesian cockatoos have suffered due to continued, unsustainable trapping for the pet trade. My next sighting was another Indonesian species, the Tanimbar corella, or Goffin’s Cockatoo. I hadn’t realised that there are cockatoo species in Singapore. One morning I was setting of to work in my car, when I saw a cockatoo swoop low over the road above me. I pulled over but the bird was gone. A little research revealed that an introduced population of Tanimbar corella is now thriving on the island. I was able to track them down to Changi ferry terminal and see a number of them feeding in the palm trees around the car parking area. In anticipation of a move to Australia I bought a field guide to birds, and knew that this would be my chance to be among wild parrot species, in numbers for the first time. The cockatoo family may not be the most colourful but the size and personality of these birds put them at the top of my list for birds that I must track down. My office was close enough to the Botanic Gardens for me to walk through or around them, daily. I don’t think it is possible to walk through these beautiful gardens without being among Sulphur-crested cockatoos in great numbers. These spectacular birds screech and twist in aerial acrobatics while walkers and tourists hope to get a photo opportunity with these sociable parrots, filled with such comical personality. I lived among Sulphur-crested cockatoos every day for the 3 years in Australia and never once tired of their noisy displays, or felt annoyance at being woken up at first light by screeching and growling on the roof top. Centennial Park in the suburb of Paddington, just a 45 minute walk or a short bus ride from the Central Business District is permanent home to 4 species of cockatoo as well as many other species of bird. It is here, by the duck ponds that the next 2 species of cockatoo swooped and landed together, one evening in a flapping, tumbling, squawking mixed flock. The noisy Little corella made up about ninety percent of the flock. 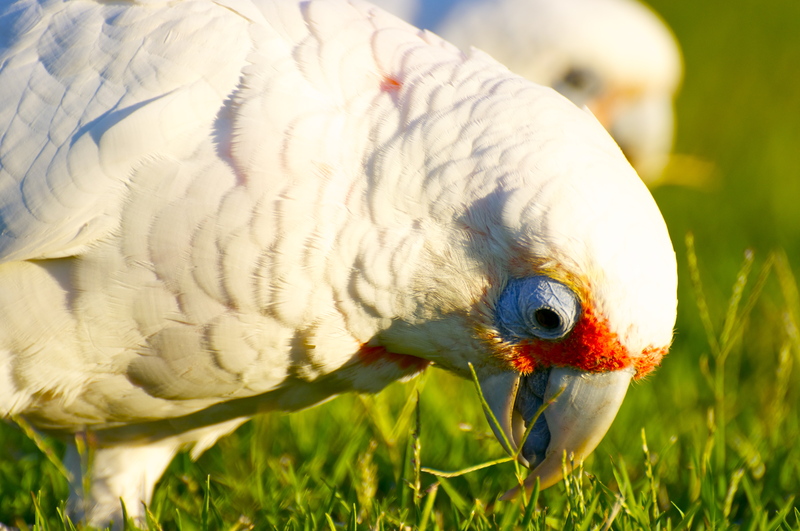 These small white cockatoos spend their time feeding on the ground, search for seeds or the occasional invertebrate. The remaining ten percent of the flock were Long-billed corella. Slightly larger than the Little corella with a red blaze and a longer, hooked upper mandible which it used as a tool for lifting roots and seeds from the cool, moist evening grass. 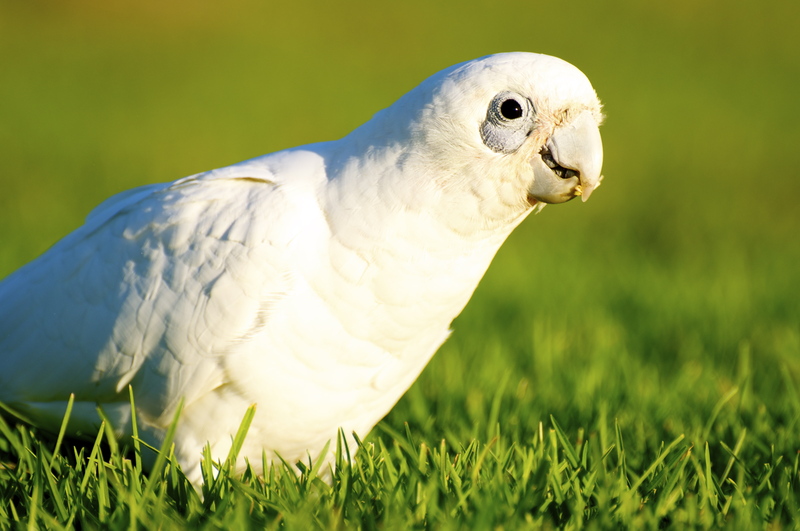 The corellas are widespread in Australia but not as common in Sydney as the Sulphur-crested cockatoo. There are, however a number of parks around the suburbs where these birds can be seen at any time of year. My job required me to travel Australia and this meant flights and driving. A drive through a suburb or past a park always presents an opportunity for an incidental wildlife experience. It is a bonus if the sighting is a new species. This was the case for my next cockatoo. 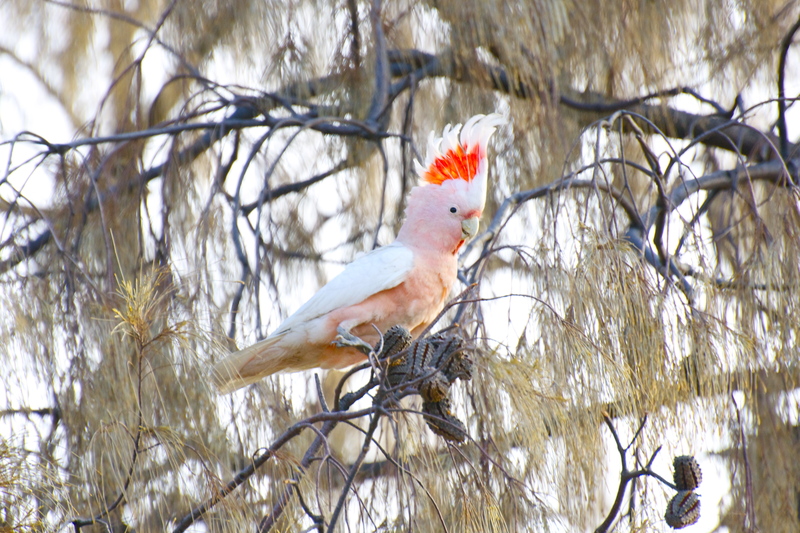 The Galah, or Rose-breasted cockatoo, is perhaps the most widespread of the cockatoos. With its silver grey back, rose coloured body and white crest, it is easily recognized, feeding on the ground along road verges and in parks, in pairs or small groups. Another bird of great personality, that can also be seen in large flocks taking part in acrobatic aerial displays. I am not sure how I managed to leave Australia without capturing a photograph of these colourful cockatoos. Before my arrival in Australia I was painfully ignorant of the existence of the black cockatoo species. A little research revealed that not only do black cockatoos exist but a small colony of them live in Sydney, in Centennial Park and small groups of them can be seen in the autumn flying over parks in and around the city. Digging in to some local bird books and a hunt through Google revealed the food source of the black cockatoos, and where I might find them in Centennial Park. A few trips passed with no success but we lived close to the park and had a small child who was delighted to wake us up at first light every weekend. With nothing better to do than get a strong coffee in the park and enjoy the early morning light, we headed off again. I took the path into the pine forest near Sandstone Ridge and moved silently through the dark pines, feet quietly settling on cushions of tawny, fragrant needles that scatter the floor of such evergreen forests. I moved softly through the shadows, avoiding the shards of light that cut through the canopy, when a high pitched long call came from above. It wasn’t a squawk or screech like other cockatoos, but there above me, was a group of Yellow-tailed Black cockatoos. The longest of the Australian cockatoo family, these magnificent, heavy black birds with a long tail wearing lemon blusher on their cheeks were indifferent to my presence as they fed on seeds, hooked from pine cones in the trees before dropping to the ground to pick up any seeds that fell. After a while the flock moved to the pines and banksia beside Lachlan Swamp. I was fortunate enough to see Yellow-tailed Blacks on many occasions, in Sydney and beyond. On every occasion the birds revealed themselves with that high pitched long peeeeeew from high up above. From the longest of the family to the smallest. The cockatiel is better known as a free-breeding cage bird but is actually related to their larger cockatoo cousins. 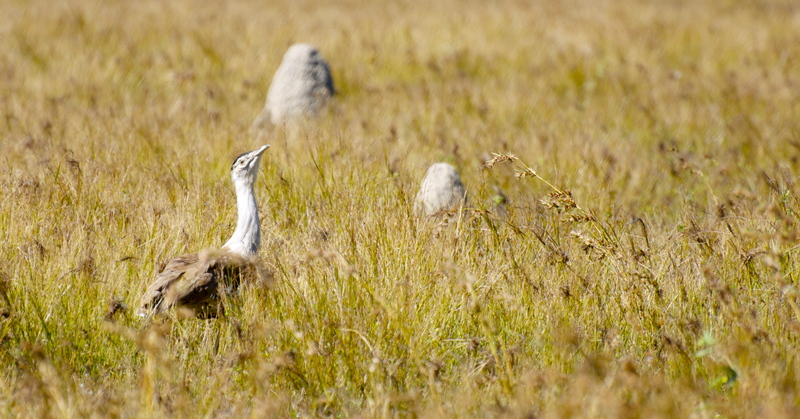 My sighting of this bird in Adelaide, was a rather unremarkable glimpse along the roadside, on the way to the airport. A tick in the book and nothing more. 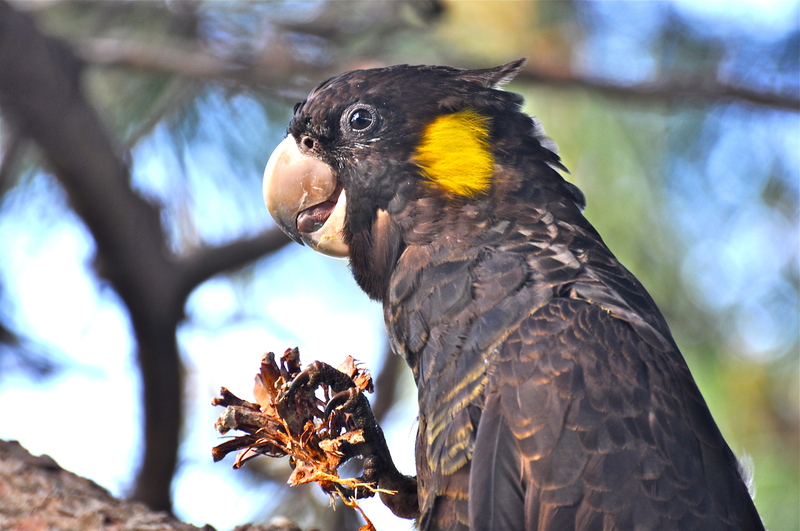 More research revealed that another black cockatoo species can be seen in New South Wales. An hour in the car takes me from Sydney to West Head in the Ku-Ring-Gai National Park. This exquisite part of the park looks from steep cliffs, down through dense tropical vegetation, golden sands to warm turquoise water. I had read that it is in this environment where the Glossy Black Cockatoo can be seen. I spent some time walking among the trees over 2 visits before finally heading down to the beach to relax. I kicked off the walking boots and took half an hour to feel the cool water on my feet and the warm sun on my face. Pulling my boots back on, I headed back up the steep steps that lead me to the cliff-top and the car. Stopping to take a breath about half way up, I hear the familiar call of a black cockatoo. Fumbling for my binoculars, I see a small group of around 12 Glossy-blacks, easily identified by the brilliant red on the tail. As quickly as they appeared, they disappeared into trees around the opposite side of the cliffs. This was my first and last sighting of this species, despite several visits to West Head. New Year’s day, 2014; my brother was visiting us in Sydney from the UK so after a night of spectacular fireworks, we set off in the car for the hour and a half drive to Blackheath, in the Blue Mountains, where we would spend a couple of nights. The plan was to show my brother a new landscape and spend a bit of time walking or playing with my son in the ground of the rental cottages. My brother and I set off early the next day with sandwiches, snacks and water for a day-long hike around the craggy cliff tops that are the Blue Mountains. That atmosphere is heavy with oils from the Eucalyptus trees that cover the hills and carpet the valleys. It is this blanket of oil that gives rise to a mist that appears blue, giving this World Heritage site its name. We saw some birds and a few lizards and soaked up the spectacular scenery, but most wildlife had sensibly decided to stay undercover rather than face the brutal heat of an Australian summer’s day. After supper I picked up my binoculars and took a walk around the grounds to see what moved. I wasn’t expecting any new species as I had seen most of the birds of the area. As the light faded the trees and bushes burst in to life with the squawks and flashing colours of parrots. First came the ever-present chattering Rainbow Lorikeet, then the stunning Crimson Rosella followed by some low fly-bys from the brilliant King parrots. This was a magnificent display from some of the most striking birds in the world. As I stood admiring the show, I watched two larger, darker birds fly straight and low in to the branches at the base of some trees around the gardens. Then an unfamiliar call followed by two more of the birds. I swiftly made my way across and got a fix on them through the binoculars. There, sat among the branches was a pair of Gang-Gang cockatoo. The Gang-Gang is a grey bird with frosted feathers and in the case of the male, a tufted red head. They sat for a short while before carrying on the journey to their roost. 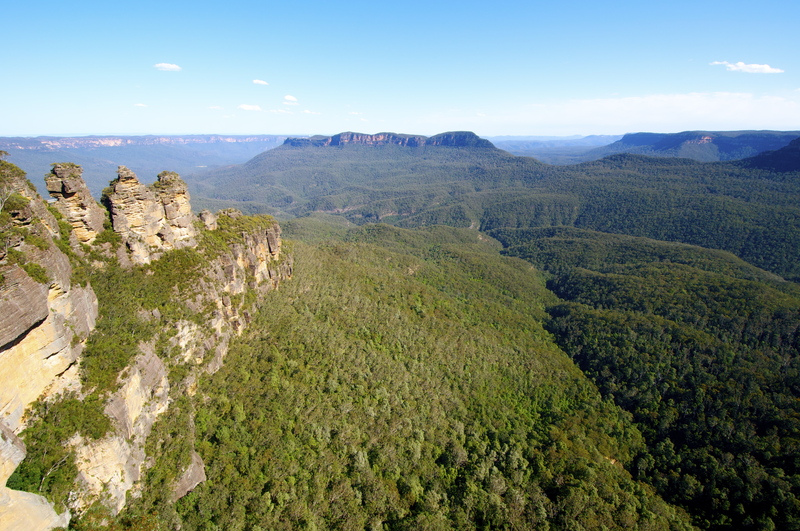 Research had suggested that the Gang-Gang is occasionally present in this area of the Blue Mountains but are more commonly seen further inland. This was a brief, fortunate and incidental sighting that certainly added to the success and enjoyment of the trip. With our time in Australia coming to an end, we decided to take a few days off work for 2 final trips. One would be a week-long trip to Daintree, Cape Tribulation and the Great Barrier Reef and the other, to the world famous, sacred Uluru (Ayers Rock) in the red center of Australia. Both of these trips offered an opportunity to see wildlife but only a remote chance of seeing cockatoos. My possibilities would be the Red-tailed Black cockatoo, that whilst widespread in the state of Queensland, do not live in the tropical areas of the north where we were heading, but do live inland in the drier zones. The opportunity at Uluru, in the Northern Territory was to search for the one that I really wanted to see; the spectacular Major Mitchell’s Cockatoo. The first of the 2 trips was to Uluru. 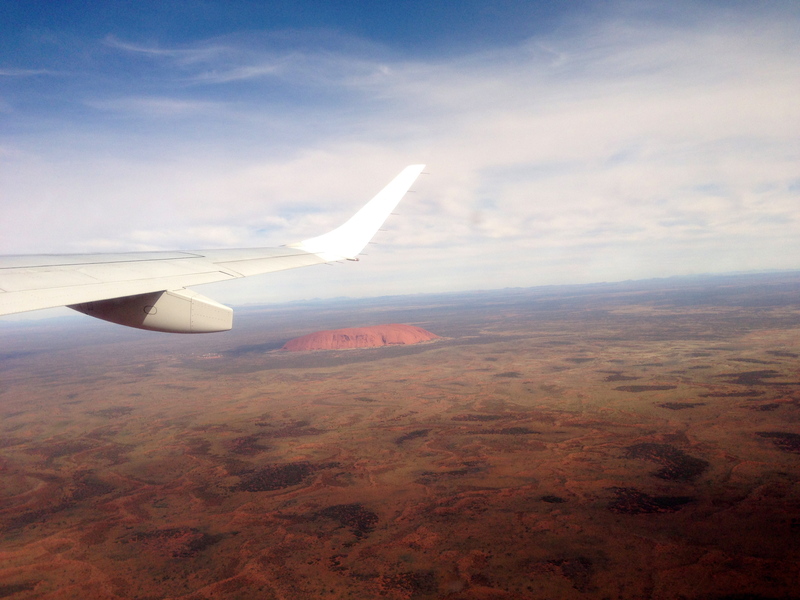 This was a long weekend trip with a direct flight from Sydney to Ayers Rock airport. This was not a cheap weekend. The red sandstone monolith standing 340m (1115ft) high in an otherwise flat landscape is a world renowned site attracting over 400,000 tourists a yea, to an area of Australia that is virtually uninhabited. This means accommodation, car hire, airport etc. has a captive market and they know how to make the most of that. But we were leaving Australia and -believed that this would be a priceless life-experience, so sucked it up and booked the trip. It was winter in the red center and surprisingly cold. 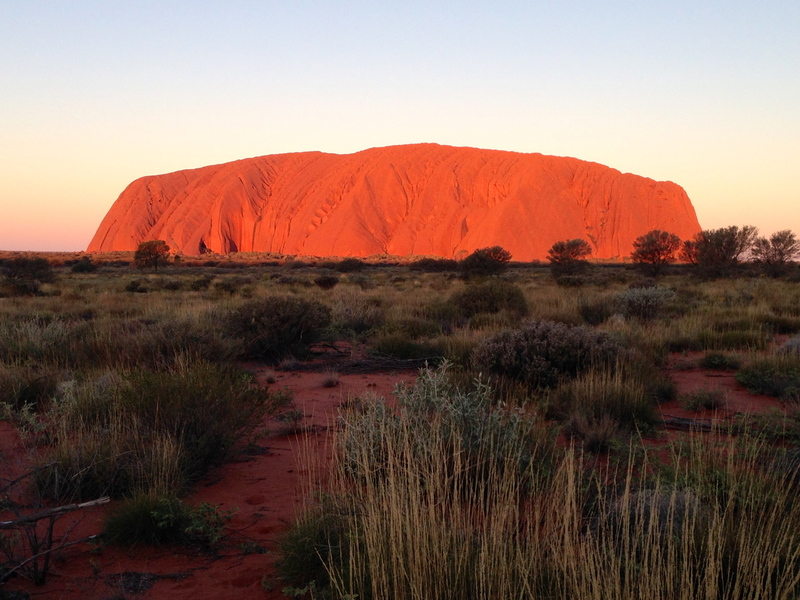 Uluru and the nearby Kata Tjuta, another imposing rock formation, are best viewed at sunrise and sunset. It is a phenomenal sight to watch the rocks shift in shades of orange, before glowing like burning coals, and finally plunging in to a blackness that contrasts beautifully against the last tinges of blue, as the sun sinks below the horizon. The rocks also provide pools of water, in an otherwise desert landscape, and caves that provide shelter from the brutal Australian sun. It is no mystery why indigenous Australian’s would consider this site sacred. It provides life with an opportunity to survive in a scorched land. To enjoy the area properly, a car is a worthwhile investment. Each time we drove into the National Park the first words out of my mouth were “look out for the Major Mitchell’s”. The park was vast, with very little wildlife on show. It soon became obvious that the chances of seeing anything, let alone the threatened cockatoo, would be at best, unlikely. We drove out morning, afternoon and evening and did start to see nature; a dingo crossing the road, flocks of zebra finches and budgerigars feeding around a controlled burn being managed by the fire department, and a few other birds. With their soft, pale salmon pink body and white upper wings they are already an attractive bird but as they proudly raise their outsized crest and hold up their under-wings up as flags, their true beauty is revealed. Flame red feathers ignite and dance from beneath the cloak of white feathers on head and wings, while the birds squabble and chatter as they hang upside down by one leg, they tumble, playfully to the branches below. They stayed for around ten minutes before moving off, not to be seen again on this trip. I came for the rock but I saw what I really wanted to see; the magnificent Major Mitchell’s Cockatoo. The final trip of our Australia adventure was upon us. This took us to the tropical north of Queensland, to Daintree and Cape Tribulation. It proved to be a fantastic holiday and resulted in some of my greatest wildlife moments, the highlight of which was photographing of the Southern Cassowary. Rather than retrace the drive back to Cairns, I took an inland route through the dry side of the mountains. This was a contrasting landscape, with very different birds. Eagles and kites caught the thermals overhead and Australian bustards periscope their heads above the yellowing grass. At the recommendation of the owner of Red Mill House in Daintree, we spent our last hour before heading to the airport at the Jabiru Safari Lodge at Mareeba Wetlands. We just had enough time for a coffee, and to gaze over the lake before it was time to fly back to Sydney and prepare to move to New York. I sucked back my coffee and walked out of the center, on to the dusty path back to the car. I heard it; peeeeeeew… peeeeeeew from above. I looked up and directly above my head, flying low was the burning red and black feathers of a pair of Red-tailed Black cockatoos. It seemed like fate that this should be my last “tick” in Australia but there was still time to see my first Blue-winged Kookaburra on the drive out of Mareeba. I left Australia having seen 12 of the 21 species of cockatoo. More than I had imagined possible as an incidental naturalist with a toddler in tow. My challenge for future years must be to see the remaining species. My dream trip is a parrot tour of Australia! You have described the sights and sounds so well in this blog entry, that I can use is as a guide for planning my trip. Thank you, and I’m very glad you and your family had the opportunity to live there for several years! 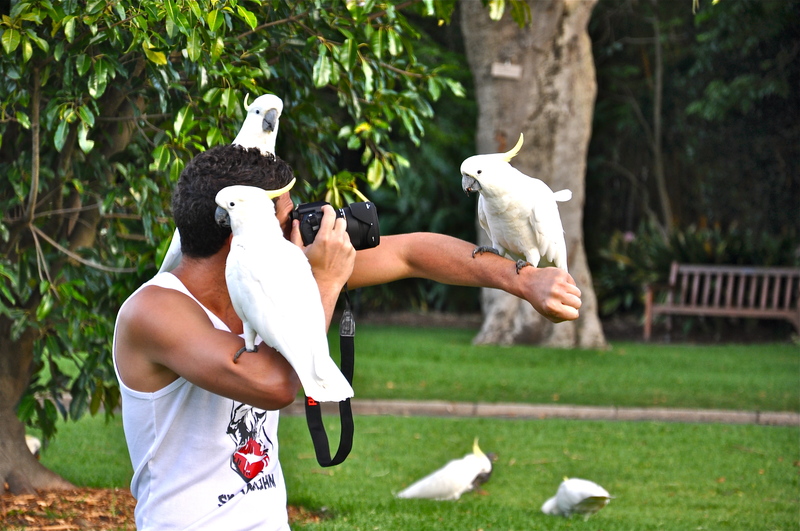 An Australian parrot tour is my dream trip! You have described the sights and sounds so well that I can use this blog entry as a guide for my future trip! I’m glad that you and your family had the amazing experience of living in Australia for several years. How fun! Thank you for your charming descriptions. I would love to see a Red-tailed black, or a Major Mitchell, in the wild. If we could have wildflowers too at the same time – heaven!